The smart capital of the Upper Engadin is not just the political centre, but also the guardian of Engadin lifestyle. Samedan owes its importance to its central location in the heart of the Engadin: it serves as a hub for the Rhaetian Railway and is the ideal departure point for sporting activities and excursions into the beautiful Upper Engadin landscape. Samedan is a Mecca for hang-gliding enthusiasts, while hikers and bikers delight in the breathtaking alpine backdrop. Directly at the gateway to the village is the highest lying golf course in Europe ; in the historic heart of the village, beside the church, the Samedan Mineral Baths & Spa offers pampering and relaxation at Switzerland’s first "vertical baths". And the most spectacular panorama mountain far and wide – the Muottas Muragl – offers stunning views that will take your breath away. Yet in spite of its political and economic significance and its tradition-based cosmopolitan attitude, Samedan has still retained its traditional Engadin heritage and lifestyle. 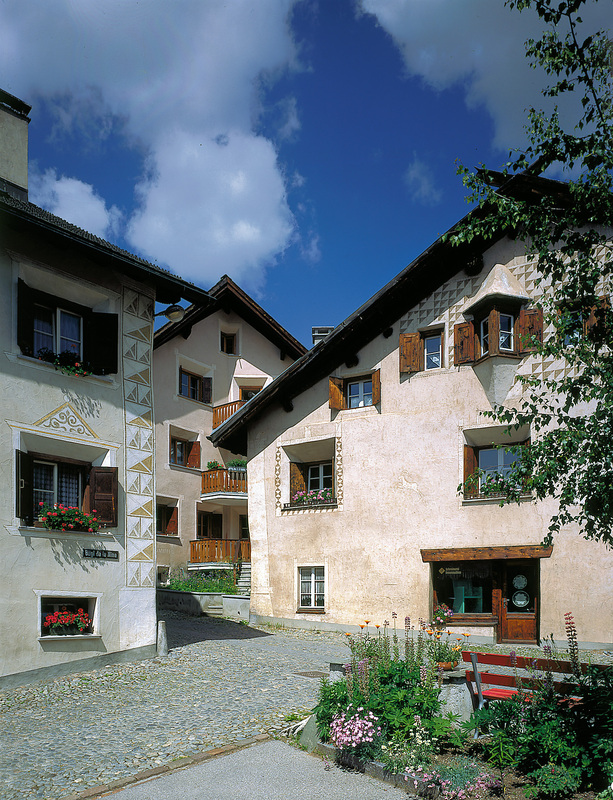 The picturesque village centre enchants visitors with its authentic Engadin houses. And its muesum, the Chesa Planta, provides an unqique insight into Rhaeto-Romanic culture.